The boathouse at the Slate Quay where Arthur Ransome came as a child sits at the southern end of Coniston Water. How wise he was to write about the places, the culture and experiences that he knew so well. As you walk down the foot path from the lane you come across interesting artwork, although it would not have been around in Ransome’s day. The boathouse came to be owned by Bridgit Sanders, nee Altounyan, who was the inspiration for the youngest of the Swallows Vicky, the ship’s baby. She lived with her family in the house nearby, teaching her children and grandchildren to sail on Coniston Water.Roger Altounyan rented half the house after he had children and would take them sailing in Mavis, the model for Amazon, bailing like mad. Whilst fish enjoy the reedy habitat small boys are reputed to enjoy the ‘Knickerbockerbreaker’ rocks that rise above what must be Swainson’s Farm at High Nibthwaite, featured in Swallowdale, which you can find by the road nearby. We pressed on in search of more of the real places that made an impression on Ransome’s life. Although we had a very good driver this was not always as easy as one might imagine. But I did find another representation of the crossed flags. Does anyone know where? We drove through the gentle countryside south of Coniston Water passing New Hall, once rented by Arthur Ransome and his wife, and on, climbing up past Gummer’s How and wiggling down to reach The Mason’s Arms, which I gather this was one of his favorite pubs. Then, seemingly in the middle of no where, we came across the Holy Grail: Low Ludderburn and the erstwhile grey barn where Ransome wrote ‘Swallows and Amazons’. He had a writing room on the first floor. Roger Wardale says he kept his car, the ‘Rattletrap’ in the wooden garage that you can see just in front of the building. It was private then, and is a private house now, but you can catch a glimpse of it from the lane that runs up and on, eventually taking you down to Blake Holme on Windermere, which he named as partly the inspiration for Wildcat Island. I’ve always thought that Arthur Ransome must have been completly impervious to the damp, to cold and wet weather. I am not. By now it was raining so hard that my husband was wearing my pink beret, but we were still in good spirits. 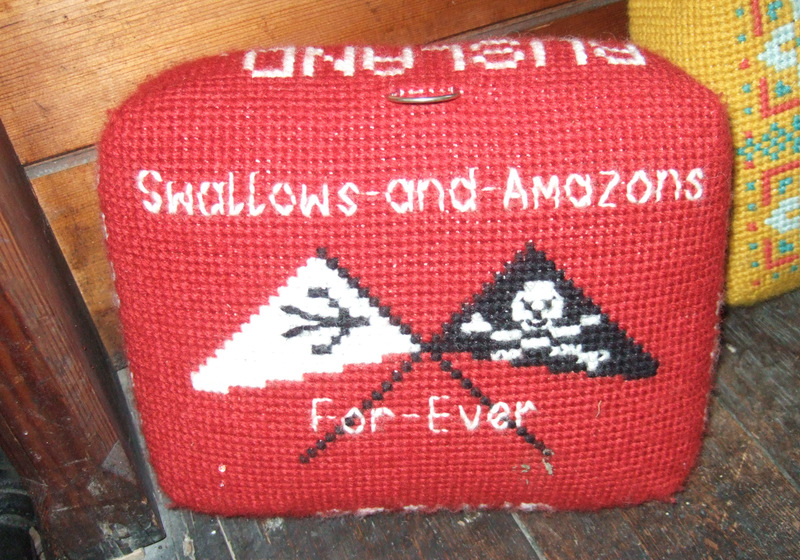 It was not just British children who were saturated with the “Swallows and Amazons” novels of Arthur Ransome, as the review of “The Last Englishman,” by Roland Chambers, suggests (May 27). I grew up hundreds of miles from the ocean in Pittsburgh, wanting to be like Ransome’s characters. I wrote to him asking which of the English lakes was the right one. He sent me a postcard saying that it was “Windermere, with a few touches of Coniston, for the sake of disguise.” He ended with “You’ll be sailing some day!” and I lived on that. So back to Windermere, and a long hot bath at Miller Howe, a lovely hotel that had a Jonathan Cape copy of Swallows and Amazons on the hall table. In the morning cloud was sitting on the high fells looking just like snow. I ran down to the lake to put my hands in the water, thinking, ‘This is the place for Winter Holiday’. But that is another book. 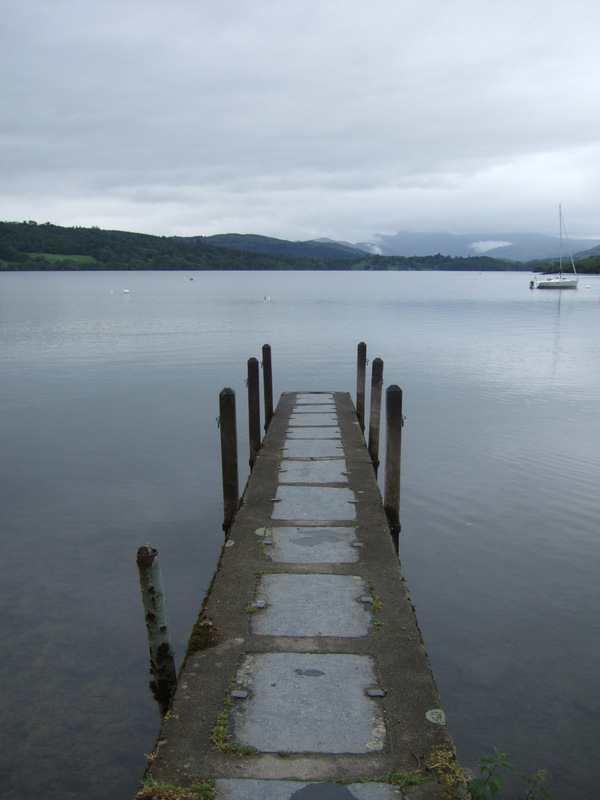 excellent article…I am a big fan of Arthur Ransome and I love the Lakes too. Superb photographs and great interesting writing…you have a fan! Nearly finished now. I had to eat breakfast. The Swallows were always stopping to have breakfast, as I assume Ransome did with such a fearsome Russian wife in his life. I hope you have managed to find the other posts. Off to see the housebaot next as I resume writing from my diaries of 1973. It looks almost like snow on the fells in this photograph of Windermere. It was cloud. White clouds. 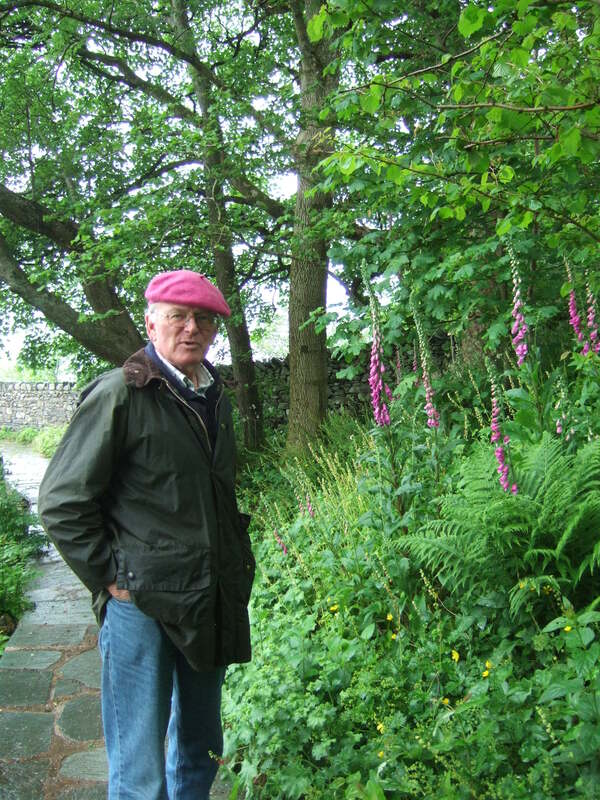 its been another ‘pink beret’ day in the Lake District today. Similar weather was not allowed to spoil events in Bowness last evening with the arrival of the 2012 Olympic Torch, which travelled down the lake on your favourite ‘steamer’ MV Tern escorted by a flotilla of smaller craft. I’m so glad you enjoyed your tour with us. Thanks for giving us such a wonderful insight into the film and the locations that we visited. It was a pleasure to meet you both. Peter Walker, Mountain Goat Ltd. I am sure you will soon be busy with people, particularally overseas visitor, wanting to see Ransome country. Do you have any of Roger Wardale’s books? A good documentary is ‘The Secret Life of Arthur Ransome’ presented by Griff Rhys Jones. 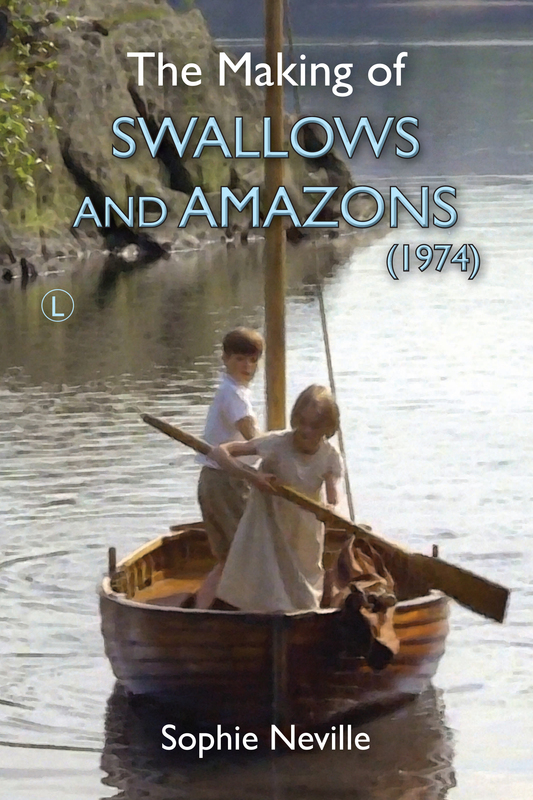 http://www.imdb.com/title/tt1260945/ Another is ‘Big Screen Britian’ on making ‘Swallows and Amazons’ presented by Ben Fogel http://www.imdb.com/title/tt0481437/ I’ll try to paste a copy on my You Tube Channel (see WriterSophieNeville’s channel) http://www.youtube.com/user/WriterSophieNeville?feature=guide You’ll find some 16mm behind-the-scenes footage there. Many thanks again for a lovely day. Pink Berets Forever! Yes, I’ve got a couple of Roger Wardale’s books which I found were a tremendous help when planning the tour (thank you Mr. W). ps The cattle were on the Rusland road again this week… I’m going to have to write them into the tour as extras! I’m surprised that nobody has identified the kneeler. Surely it is in Rusland Church?